After the entrance of excise taxation and VAT - value added tax in UAE reconsidering financial and taxation accounting services in the region has become a must. Understanding the cumulative demand for business accounting services, Shuraa Tax Consultants and Accountants is offering constructive and applied financial services for private companies, corporate entities and institutional clients. Shuraa Tax Consultants and Accountants assist you through the mandatory obligations of UAE Federal Tax Authority as well as deals with all the tax filling services in Dubai and other parts of UAE. Shuraa is the best taxation services provider in Dubai offering companies in the UAE financial services related to excise tax, VAT, general taxation and book-keeping. So, whether you need to register for VAT in UAE, pay excise tax in Dubai or maintain your financial accounting - contact Shuraa Tax Consultants and Accountants! Shuraa Tax Consultants and Accountants offers corporate taxation services based on innovative tax efficient strategies. We offer effective tax management, tax structuring and tax advisory services in UAE. With revenue enhancement measures through taxation, the application of excise tax and implementation of VAT value-added tax in UAE Shuraa provides companies accurate tax and accounting services that do not only combat the overheads but also streamlines effective approaches for the company. Shuraa is the best accounting and auditing firms in Dubai that aids with financial accounting services and promises confidentiality, data security, risk management, governance and improved efficiency. Our accounting services include all the regulatory compliances drive and determined by the UAE Federal Tax Authority. Shuraa has an established team of qualified CPAs, CAs, tax lawyers, solicitors and tax agents, who are dedicated to provide the best quality, proactive and affordable accounting and tax services to our clients. 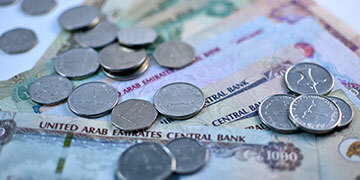 "For more information or to speak to a tax consultant in UAE for free contact Shuraa Tax Consultants and Accountants." Drop in an email to us or call us at +(971) 4408-1960.